Find a great sale price on this 2018 Ford F-250 LARIAT at Value Ford in Elma Washington. This 2018 Ford F-250 LARIAT is located at our Ford dealership in Elma. We also serve the cities of Aberdeen, Montesano, Tumwater, Hoquiam and Olympia. 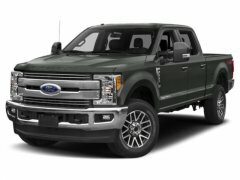 So if you're looking for a great price on this 2018 Ford F-250 LARIAT or just looking to get an auto loan for the vehicle you want... you've come to the right place! Value Ford. Listed sales prices include all standard Factory to consumer rebates such as: Retail Customer Cash, Special Customer Cash, Bonus Cash, Ford Credit Bonus Cash (Must finance through Ford Motor Credit to receive, on approved credit), Trade-In Assistance Cash and Other Bonus Cash. Other rebates may be applicable such as: College Grad Cash, Lease Conquest Cash, etc. See Dealer for complete details and qualifications. Not all customers will qualify for Ford Motor Credit financing. 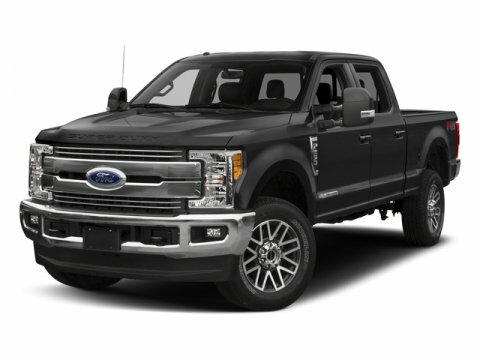 Nav System, Heated Leather Seats, ENGINE: 6.7L 4V OHV POWER STROKE V8 TURBO DIESEL B20, SHADOW BLACK, BLACK, FRONT LEATHER SEATING SURFACES 40/CONSOLE/40, Back-Up Camera. Shadow Black exterior and Black interior, Lariat trim. SEE MORE! KEY FEATURES INCLUDE 4x4, Back-Up Camera, Premium Sound System, iPod/MP3 Input, Onboard Communications System, Trailer Hitch, Dual Zone A/C. MP3 Player, Privacy Glass, Steering Wheel Controls, Electronic Stability Control, Heated Mirrors. 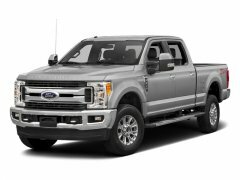 OPTION PACKAGES ENGINE: 6.7L 4V OHV POWER STROKE V8 TURBO DIESEL B20 manual push-button engine-exhaust braking and intelligent oil-life monitor, 34 Gallon Fuel Tank, Extra Heavy-Duty 220 Amp Alternator, 3.31 Axle Ratio, Dual 78-AH 750 CCA Batteries, LARIAT ULTIMATE PACKAGE Automatic High Beam, rain-sensing windshield wipers, Intelligent Access w/Push-Button Start, Easy Entry/Exit Memory Driver's Seat Feature, Remote Start System, Remote Tailgate Release, Ambient Lighting - Fixed Color, Memory Power-Adjustable Pedals, PowerScope Trailer Tow Mirrors w/Memory, Power Heated/Cooled Passenger Seat, Tailgate Step & Handle, Power Heated/Cooled Driver Seat w/Memory, LED Box Lighting, LED Center High-Mounted Stop Lamp (CHMSL), Power Telescoping/Tilt Steering Wheel/Column, heat, memory and audio controls, Voice-Activated Navigation, HD and SiriusXM Traffic and Travel Link, NOTE: SiriusXM Traffic and Travel Link includes a 5-year prepaid subscription, Services are not available in Alaska and Hawaii, WHEELS: 20" BRIGHT MACHINED CAST ALUMINUM magnetic painted pockets and bright hub covers/center ornaments, POWER-DEPLOYABLE RUNNING BOARDS, VOICE-ACTIVATED NAVIGATION HD and SiriusXM Traffic and Travel Link WHO WE ARE Spring Clearance Sale On Now! Call Or Click Today! New-Advertised sale prices are after all factory rebates including retail customer cash, special customer cash, bonus cash, ford credit cash, trade assistance cash, and other bonus cash. Customer may qualify for additional incentives.